The governments of Mozambique, Zimbabwe and Malawi are already engaged in relief efforts, yet the scope of the disaster calls for an international response. 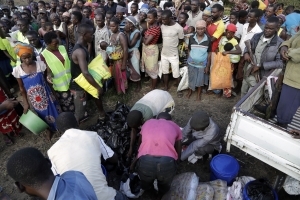 According to a United Nations report, nearly 1.7 million people in Mozambique were directly in the cyclone’s path, along with 920,000 people in Malawi, and Zimbabwe reports over 20,000 houses have been all or partially destroyed. Yesterday, in a BBC World News interview, Graça Machel, Mozambique’s former first lady, told their correspondent, “This is a problem too big for the country to handle alone.“ Machel confirmed that the situation in Beira is graver than a similar storm in 2000, when VillageReach founder, Cameroonian-American Blaise Judja-Sato, returned to Africa to support Machel’s Foundation for Community Development on relief efforts. 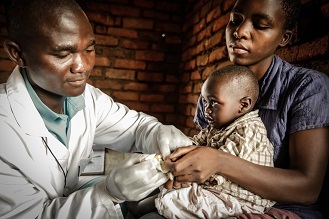 Now, in 2019, we find Mozambique, Malawi, and Zimbabwe facing another weather-related crisis that is affecting the health and livelihoods of millions. VillageReach has had a long-standing commitment to Mozambique for nearly 20 years. We will work side-by-side with the government to make sure that quality health care is restored, as we have done before. Here in U.S., the most effective way to help is to send donations to trusted organizations who can determine the best way to apply it. Health Alliance International has had operations in Mozambique for nearly 30 years, and you can visit their site to contribute to their dedicated local health system response fund and learn about other organizations providing emergency relief.